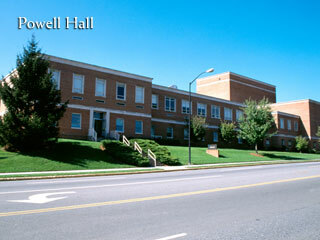 Adjacent to Porterfield is Powell Hall, where the Flossie Martin Gallery features changing exhibits of national, regional and local artists. Each year students and faculty display their outstanding works in special shows. In addition, the Corrina de la Burde outdoor sculpture court makes this area a must see. McGuffey houses the Department of Interior and Fashion Design, and the College of Information Science and Technology is in Davis. Young is home to the College of Arts and Sciences, RU’s largest college with over 20 majors and many concentrations. Fact: RU has been visionary, embracing new concepts and technologies that put the institution at the forefront of national trends. Today, the university’s technologically advanced research tools and wireless campus prove RU’s commitment to offering its students the best possible learning environment.